According to statistics from a 2017 research, the percentage of female entrepreneurs in the UAE is 33 per cent. This contrasts with the 13 percent female entrepreneurs in the US. It goes further to say that 8 out of ten of these entrepreneurs have very ambitious plans to expand operations beyond their local areas. 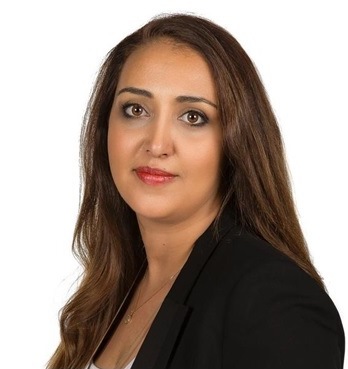 Dunia Othman is one of Middle East female entrepreneurs; she co-founded MrUsta (an online marketplace that connects customers to trusted service providers) with her husband Ibrahim Colak, in January 2014, in a bid to promote better services for UAE residents. The MrUsta platform rests on a win-win model for all stakeholders involved; small service providers struggling to reach more customers, and UAE residents in desperate need of their services. The platform lists a few thousand home service providers – described by the co-founders as ‘Ustas’ – in various categories, with each profile containing not only the contact information and location, but also the reviews and ratings posted by previous customers. The platform creates a meeting point for service providers and their clients in different regions. MrUsta has been well received in the UAE, with the number of users increasing by over 200 percent in 2015. The platform has since then, recorded a steady month-on-month increase of 96 percent in terms of jobs posted. Othman saw a need to fill the gap in service as she explains that experiencing difficulties in finding quality service providers used to be a common thread connecting almost everyone living in the UAE. Their business was created as a highly-localized solution to the service gap. MrUsta was conceptualized a few years before its inception, when the air conditioner at the Othman’s home broke down in the middle of the UAE’s hot summer. After countless phone calls that yielded no results, and what seemed like hundreds of broken promises, they came to the realization that there was a need to connect customers in need directly with service providers in a convenient manner, to avoid a repeat of such experiences. This idea – what is now MrUsta – was so compelling that her husband resigned from his job to focus on the business full-time alongside his wife. Othman’s husband who quit a promising career with Nokia to launch mrUsta with his wife, has not had a single regret since he made that decision. Learning financial management skills as is required of corporate executives, finding and keeping the right employees in a firm, access to capital, and high cost of public services. She has a B.Eng. from the University of Auckland, New Zealand and at Post Graduate Diploma in Advanced management from the Institute of Management New Zealand. In the East African business circles, few entrepreneurs shine brighter than Njeri Rionge. 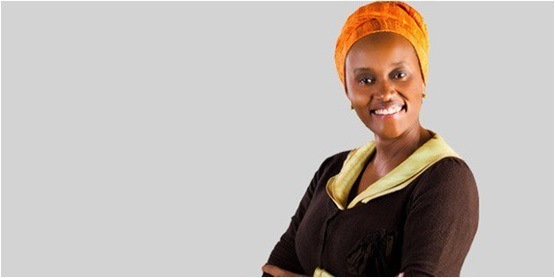 Rionge is one of Kenya’s most successful and revered serial entrepreneurs; she has co-founded several multi-million dollar companies in quick succession. One of such companies is Wananchi Online, a leading Internet service provider which has gone on to become one of East Africa’s leading cable, broadband, and IP (Internet-based) phone company. Rionge started her first business at the age of 19, selling yoghurt at schools in the capital city of Nairobi. She went on to sell clothes and run a few other small businesses. Today, she is one of the pioneer women investors in Africa’s IT sector. Wananchi Online is East Africa’s first mass-market internet service provider which has grown to become the region’s leading internet company. Over the years, Rionge has established a host of other thriving businesses, including Ignite Consulting, a flourishing business consultancy; Ignite Lifestyle, a healthcare consultancy; Business Lounge, one of Kenya’s largest startup incubators; and Incite, a booming digital marketing agency. Despite her busy schedule, her passion to impart knowledge in young entrepreneurs have not been hindered; the serial entrepreneur shares her passion through Ignite Consulting, which she currently runs as a coaching, strategy facilitation, and skills training centre. Through which she shares her skills with young entrepreneurs in her country, helping them grow their own businesses. Rionge is passionate about growing businesses and igniting potentials, she believes in Africa as the next economic frontier. She has over 26 years of leadership and change management experience, working with SMEs and entrepreneurs to grow indigenous businesses that can be scaled across Africa. She is also a motivational speaker and life coach, passing on her wisdom and experience to upcoming entrepreneurs. Rionge, who’s in her late 40s, shows no sign of letting up on entrepreneurship. She is passionate about Africa’s position as the next big economic miracle and wants to contribute to the capacity of the continent to reach its full potential. Her advice when inspiring upcoming entrepreneurs is to be resilient. Resilience, she believes, or having a strong backbone that can handle challenges, is the key to successful entrepreneurship. People often say that life never gives us what we want so we have to take out what we want from what life offers to us; just like forming lemons into lemonade. This turns out to be the narrative for many who have turned out great and successful in our world today. One characteristic of these people is that they chose not to negotiate with life rather they wisely purchase for themselves through diligence, wisdom, and hard-work the things which they want. Most of them though born with little or nothing, have grown far beyond their expectation just because they chose not to settle for less. Zhang Xin shares this same storyline. She moved from a factory worker to a real estate billionaire, spreading her wealth to the under-privileged having escaped their predicament. Here is her story. Zhang Xin was born a year before China’s Cultural Revolution began (1966-1976), on the 24 of August 1965 in Beijing, China. Her parents were separated during the Revolution and her mother moved with her only child (Zhang) to Hong Kong. Zhang was fourteen when this happened she had to support her mother to earn a living. They were able to afford a room just big enough for two bunk beds which they lived in until Zhang left for the London to further her education. Before then, she worked for five years in small garment factories and electronic products in order to save for her education. She was 19 years old when she finally had enough to cater for airfare to London. Getting to London, she enrolled for English study at secretarial school but later furthered her education studying Economics at the University of Sussex where she finally graduated from in 1992. Zhang is a master’s degree holder in Development Economics from Cambridge University, and a doctorate degree holder in law, which she earned from her Alma Mater, theUniversity of Sussex in 2013. She moved to Hong Kong after received an appointment to work for Goldman Sachs investment bank in Hong Kong. But after a while, she got married and returned to her hometown, Beijing where she co-foundedHongshi (meaning Red Stone), with her husband Pan Shiyi in 1995. Hongshi was later changed to SOHO China, one of China’s largest prime office property developers in Beijing and Shanghai with 5.4 million square meters (54 million square feet) in developments. 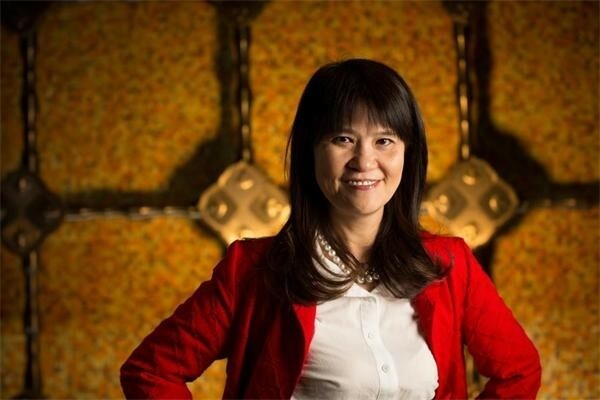 Zhang Xin is a renowned patron of the architecture sector in China and an innovative entrepreneur whose work has been recognized internationally. Zhang Xinis also the co-founded the SOHO China Foundation which was initiated in 2005 alongside her husband. The SOHO China foundation is a philanthropic organization that engages in education-focused initiatives to alleviate poverty. In July 2014, the SOHO China Foundation announced the SOHO China Scholarships a US $100 million initiative to endow financial aid scholarships at leading international universities. As a result of her commendable effort both in economic development and humanitarian services, she has received numerous awards including international. She was awarded a Special Prize at the 8th la Biennale di Venezia by the Great Wall, a private collection of architecture featuring the works of twelve Asian architects. 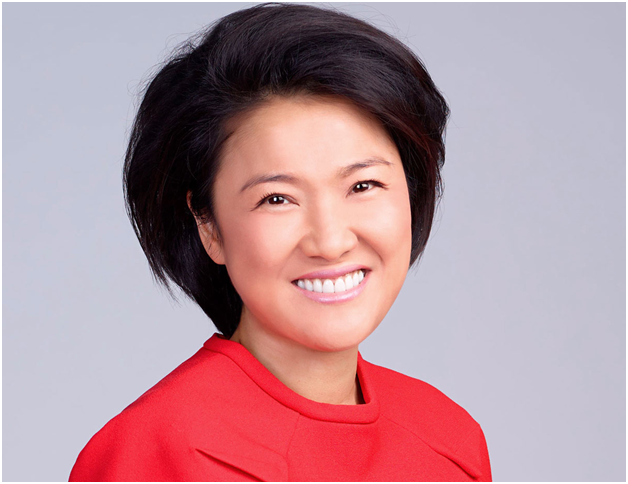 Zhang Xin is a member and Young Global Leader of World Economic Forum, Davos, a member of the Global Board of Advisors of the Council on Foreign Relations, and a Board Member of the Harvard Global Advisory Council. She served as a Trustee of the China Institute in America from 2005 to 2010 and was recognized by the China Institute with the Blue Cloud Award in 2010. She is happily married to her husband Pan Shiyi, and they reside in Beijing. Taiwan has a large number of successful women in almost every sphere of life, in technology, business, agriculture, governance, education and much more, with a label of hard work. These women are inspiring, never giving up and courageous. Some rose from grass to grace while other followed successful paths created for them by their fathers through inheritance. In technology most especially, women of Asia including Taiwanese are known to attain unimaginable feats and positions through intelligence. For example the amiable of Eva Yi-Hwa Chen of Taiwan who was born and raised in Taichung, having schooled at the National Chengchi University in Taipei where she earned a degree in philosophy. After her undergraduate education at the National Chengchi University, she worked for a short time at two specific companies, one of which was Acer Inc. as a member of the research department. Chen moved to the United States in 1984, where she obtained a master’s degree from the University of Texas at Dallas studying management information systems. Chen is the cofounder of Trend Micro, a multinational security software company that develops security software for servers, cloud computing environments, consumers, and small, medium and enterprise businesses. The company was established in 1989 by Steve Chang, his wife, Jenny Chang, and her sister, Eva Chen. The company sprouted out in Los Angeles, California but the global headquarters is situated in Tokyo, Japan, and regional headquarters in Asia, Europe, and the Americas. As a co-founder, she held the position of the executive vice president of the company until for eight years until 1996 when she became chief technology officer. From being the CTO Chen was made CEO of the company in 2005, but she faced a huge challenge which almost weighed her down. Prior to being the CEO of Trend Micro, while she still served as the company’s CTO Chen invented the Network VirusWall, an additional invention to the company’s profile. From being a traditional antivirus provider, Trend Micro shifted its focus to cloud protection, purchasing Canadian security company Third Brigade in 2009 and cloud storage service humyo in 2010 under the leadership of Chen. She became one of Asia’s big time short as her fame spread around her region. Chen was awarded a Cloud Security Alliance Industry Leadership Award for her contributions to cloud security in the Asia-Pacific region in 2012. She resides with her family in Pasadena, California. Purpose is an incredibly powerful intention. It provides the strength to fight the impossible. It tells a story. It inspires us to feel different and changes how we engage with the world. Honoring the stories of innovative Egyptian women entrepreneurs that create ideas that matter is what sparked my event planning business in Cairo. I called it 18.213. The name might seem like an obscure numerical code but in fact, it is the address of my venue in Egypt where I curate and launch my events. 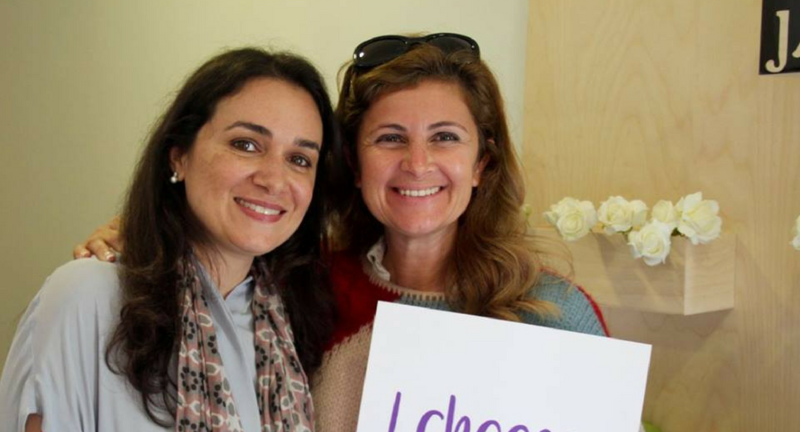 18.213 is a unique experiential launch pad that gives local women entrepreneurs the opportunity to share their ideas with the community through an event that is engaging, bold and emotionally transformative. The Space aspires to be a hub for entrepreneurial and aesthetic excellence by celebrating the best of Egypt’s creative economy in art, design, fashion, and wellness. My journey as an entrepreneur began when I got accepted to the Goldman Sachs 10,000 Women’s Entrepreneurship program in 2009. The program gave me the courage and determination to follow my dream of building a successful boutique corporate communications service to help local businesses rebrand their image and marketing narrative. But, in 2011 everything suddenly changed. Egypt started a powerful revolution. My business became obsolete overnight. I developed a visceral urge to be part of my country’s awakening, so I created a civic initiative to educate underprivileged communities on how to elect. The initiative was aptly called Sahwa Masreya which in Arabic means “the Egyptian Awakening”. For 6 months, three other women and I collaborated with a leading international advertising agency and we created the first political jingle with a renowned national singer to empower the society to elect viable candidates to support Egypt’s political future. 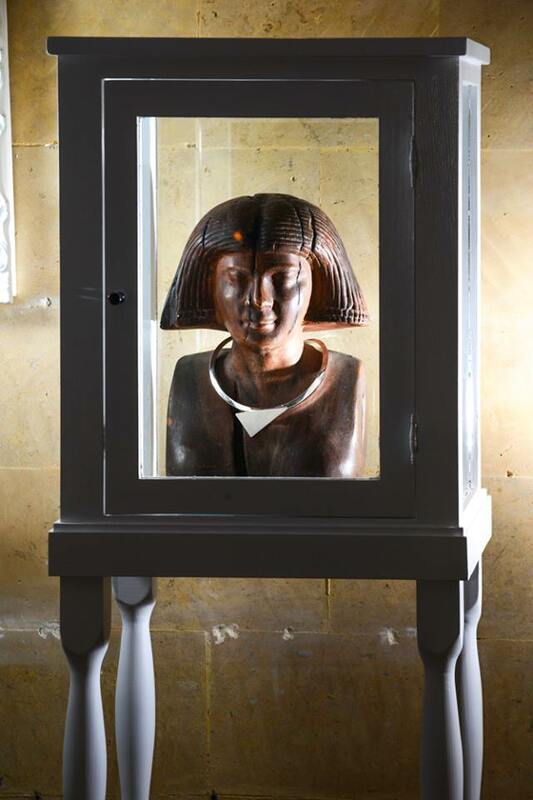 The profound experience of Sahwa Masreya was a pivotal milestone in my life as an Egyptian citizen and it gave me the motivation to take my business on a different path. Facing the challenge of a business that had no incoming revenue or clients, I had to come up with a breakthrough idea very quickly if I wanted to survive the tremors of the political upheaval in 2012. After weeks of tedious research, I stumbled on the growing trend of Pop Up venues that was erupting in the US and Europe. The Pop Up concept is an experiential marketing platform that capitalizes on the short term rental of prime real estate properties for temporary retail events. The events act as a strategic retail laboratory for brands to test out their products for their target audiences. These events are designed to be highly creative and immersive, they aim at making the customer feel as if they had experienced a theatrical production. I was instantly hooked. In 24 hours I transformed my firm to being the very first Pop Up venue in Egypt. My marketing, communications and PR skills blended with my passion for creativity and designing beautiful social events inspired the successful launching of 18.213’s six Pop Up events in Cairo in 2012. The Pop Up phenomena started a movement and it inspired a renewed excitement for the community to be part of the emerging start up scene in Egypt. But, as women entrepreneurs, we all know that our businesses represent only a part of what makes up our life. The most significant part being our family. My personal circumstances led me to leave Egypt and move to Canada with my children and start over. I decided to take a degree in Event Planning at the mature age of 49 so eventually, I could elevate my business when I returned back home. I am proud to share that during that year of studying and practicing the foundations of the Event Planning Industry I was able to put Egypt on the map by doing my internship as an event coordinator for the historic village of Pointe- Claire in Montreal. I designed a successful Spring event that attracted hundreds of local citizens to visit the Village and was able to get the Mayor of the city to be part of the celebration. It was an incredible life-changing experience for me as a mother of 2 sons to face the challenges of Canada’s brutal winters, excel in my education and have the strength to create a balanced and happy home for my children. I learned that when we dare to step out of our comfort zone and uproot ourselves to another culture, we discover our ability for resourcefulness and immense courage. I am grateful that I had the opportunity to grow through the experience and embrace my strength as a woman. Empowered with all the knowledge, experiences and learning lessons I had gained from living in Canada I returned back home and reopened 18.213 with a renewed vision. In 2016, I launched 3 phenomenal women entrepreneurs, a mosaic artist, a wellness coach, and a jewelry designer. Each one of these women were driven to create businesses that have a purpose and are impacting the community with what they do. Amal Akhnoukh is not only a mosaic artist but a social entrepreneur with a big dream to transform underprivileged communities by teaching them mosaic art. 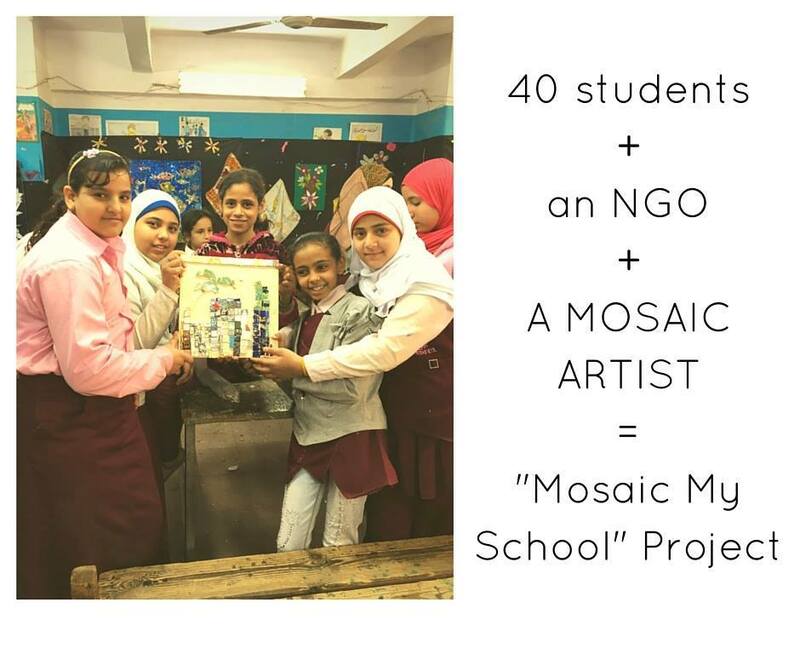 Through the event at 18.213, we were able to launch the first “Mosaic my School” project for a public school in a slum area in Cairo. The project empowered 50 school kids to create a wall mural to beautify their school and give them a sense of ownership and dignity. Dana Dinnawi is an online nutrition coach for women. 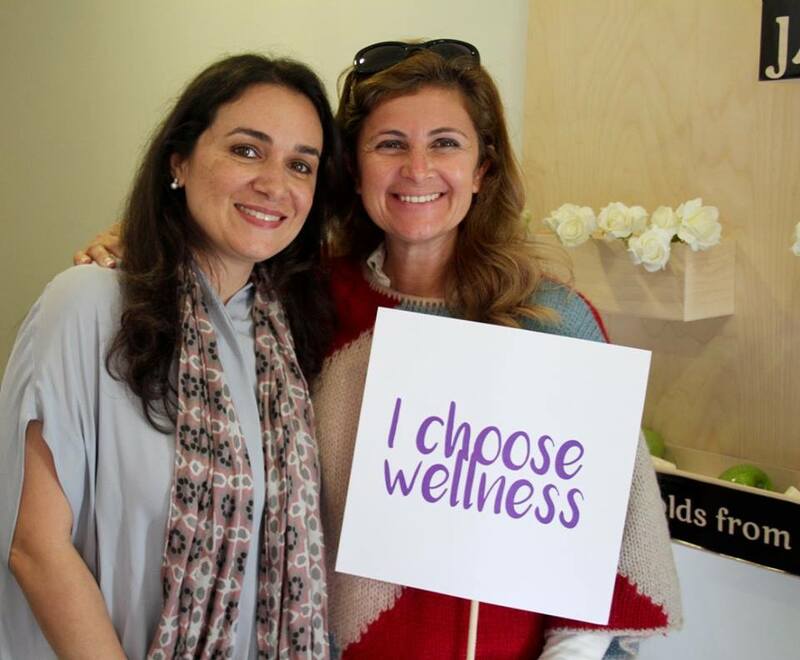 Her goal is to encourage women to take charge of their wellbeing by proper nutrition and positive lifestyle habits. 18.213 curated the first experiential women’s event for an online personal brand, the event immersed the women in Dana’s entire program, they listened to her story, tried her recipes and were able to understand what online coaching is all about in a personal and interactive way. Riham Zaghloul is a jewelry designer with a big vision to position her brand Zagh as one of the leading Egyptian signature brands in the world. The impeccable quality and sophistication of Riham’s designs are breathtaking and each piece has an incredible story that is rooted in nature, Egypt’s rich cultural heritage and the power of women. The event was launched just before Christmas and I designed the event to be as if you were walking into a museum. Each piece of jewelry was staged with unique props to expose the audience to a rich visual narrative and engage their senses in a plethora of emotions. Throughout my journey with 18.213, I discovered my passion for creating events that are immersive emotional experiences because ultimately the stories we remember are those that touch us in a profound way. Storytelling is a powerful medium and I believe that people are getting exhausted from feeling desensitized by the inauthenticity of social media and the digital sphere. If brands are to survive the next era of AI and Virtual Reality they have to become adept at creating authentic stories that resonate with the customer’s values. Brands need to have the courage to share their vulnerability and true essence through personal narratives, instead of obsessing on the number of followers and fans they have on social media platforms. In my mission to inspire women entrepreneurs to embrace their story, I am currently designing the first Storytelling Retreat in Egypt that will create an experience that offers practical easy steps on how to find your brand story mixed with yoga, meditation and nature walk that restore your sense of balance. The venue for the retreat has been carefully chosen for its historic significance; a private residence that is opposite the Dahshour Pyramids in Giza. My dream is that 18.213’s first retreat will be the beginning of a series of retreat events that inspire Egyptian women entrepreneurs to believe in who they are and encourage them to embrace their uniqueness, so they can share their stories with other women around the world. When women of different backgrounds and cultures get together in a story circle and open up their lives to each other, I believe something magical happens. We become the best versions of ourselves. I encourage you all to find your own story and experience the boundless possibilities of what you are capable of changing in your own communities. 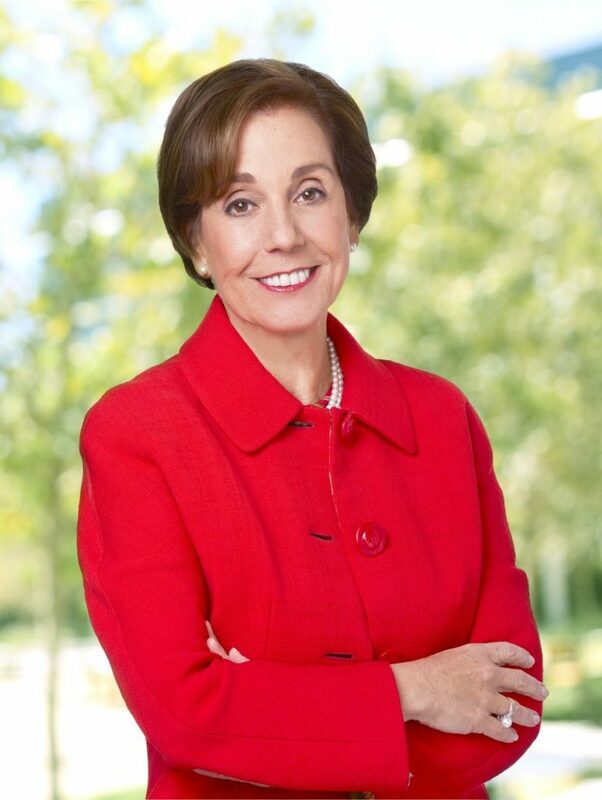 Maria Elena Lagomasino is a Hispanic business woman and founder of WE family offices. Born on 27 March 1949, Maria who is also referred to as MEL has worked as director of a number of prestigious organisations. Maria obtained a Bachelors degree in French Literature, obtained from the College of Manhattanville in 1970. She also got her Master of Library Science, at Columbia University, in 1975. And in 1982 she obtained Master of Business Administration (MBA), at Fordham University. Maria is one of the world’s powerful women who got to the top through their self-made efforts. Before she established WE family offices, she had worked as the Vice president at Citibank, as head of the private bank for the Western Hemisphere, and also as managing director in charge of Global Private Banking Group. In 2001, when she became chairman and chief executive officer of JP Morgan Private Bank, Maria was also named the director of The Coca-Cola Company which brought her to the limelight and exposed her potentials. She ended her journey with Morgan and in November 2005 and started as CEO of Asset Management Advisors (AMA), an affiliate of SunTrust Banks. After working with the famous Coca-Cola Company she was voted as member for the board of directors in 2008. But it was not just for Coca-Cola alone she also sat as a director in various organisations including the Lincoln Center theater of Performing Arts. Her continuous promotions were an obvious truth that she was reliable and capable for the job. In 2015, Maria became the Director of The Walt Disney Company. WE Family Offices is a global family office serving top net worth families by building their wealth enterprises and offers support and the control they need to manage their wealth as a successful business enterprise. WE families have been existing since 2013 and guiding the financial lives of hundreds of families. 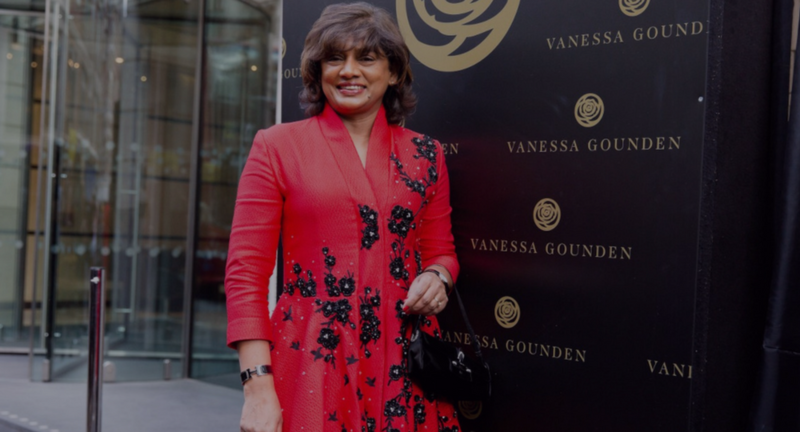 Vanessa Gounden is a South African entrepreneur, who had no background knowledge of entrepreneurship growing up but developed her entrepreneurial spirit through determination. Vanessa did not grow up with her parents even though they worked in South Africa, she spent most of her childhood days on a smallholding in a mixed racial area near Durban with her grandparents who were florist. She had her education in Shallcross Secondary school and the University of Pretoria, with a B.Tech degree. She is a strong politician whose motive is drawn from the experience she encountered at age ten when he father was forcfully removed by the apartheid state causing her family to leave their home under the Group Areas Act and moved to a dormitory township with minimal facilities. It was painful, but little did she know that a desire was already burning within her and a mission was birthed. At a later stage in her life, that experienced led Vanessa to join the ANC as a teenager and campaign for democracy. While an activist, she was also a student of human resources at the University of Pretoria. She met her husband Sivi Gounden during her years of activism in the ANC and in 1989 they got married. After she was done studying, Vanessa got a job as a primary school teacher. Fortunately, the ANC party finally took over power, and after the country’s first democratic elections were conducted in 1994, she received a message from Nelson Mandela himself to be part of his administration and help him build a new South Africa. It was a dream come through for the woman of valor who had always wanted to stand for the good of her people. She served under the Mandela’s administration for decades and was actively involved in the trade union movement. She also headed key sectors in the country were her glory is continually announced. In 2003, she co-founded Holgoun Investment Holdings with her husband Dr. Sivi Gounden. HolGoun Investment Holdings is a South African investment holding company that carries out activities and investments of various sectors including Mining and Exploration, Healthcare, Financial Services, Property, Music, Fashion, Security, Film Production. In 2011, she founded Vanessa G London, a fashion line with luxurious women clothing that ranges of casual, cocktail, formal and haute couture “ready to wear” clothing. She lives with her husband Sivi and two children, in Pretoria.